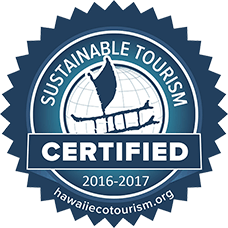 Ocean stewardship is an important part of living in and visiting Hawaii. Whether you’re snorkeling, surfing, or relaxing on the sand, it is our kuleana (responsibility) to ensure that we maintain healthy, thriving oceans for future generations. To help you get started, we’ve compiled a list of the 5 ways you can be a responsible ocean steward. Whatever you bring to the beach, it’s important to take it back out with you. We do beach cleanups before every mermaid lesson, and you’d be surprised by some of the things we find! From clothes and sandals to fins and boogie-boards, a lot of items get left on the beach. It’s super important – and easy – to do a quick check of the area you’re enjoying to make sure you leave nothing behind. You can even go the extra mile and pick up any trash or items left by other groups. 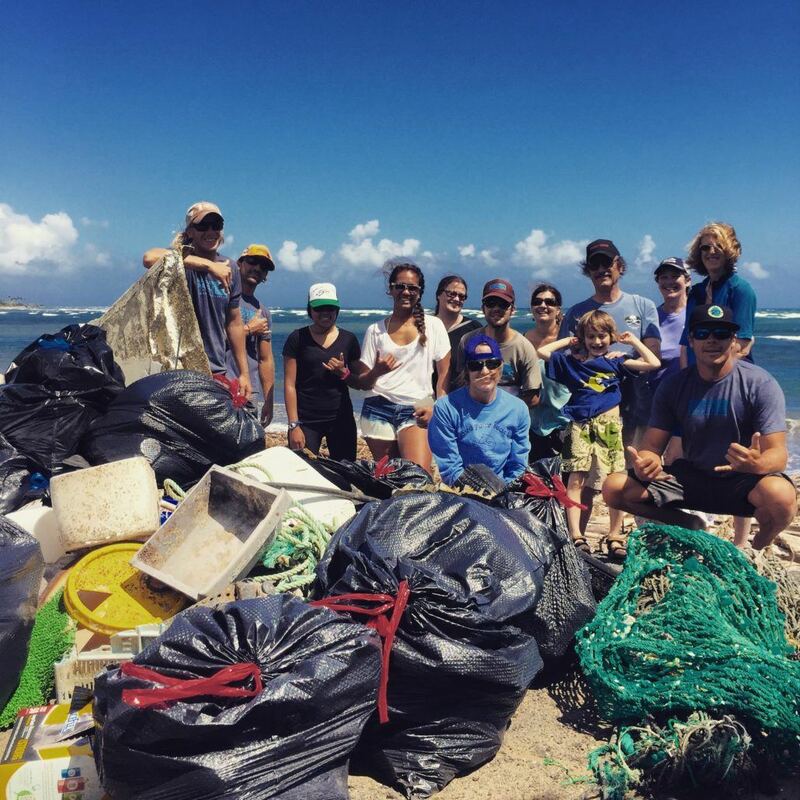 When we all put in a little bit of effort to take care of the beach, we can help keep Hawaii and her oceans beautiful! 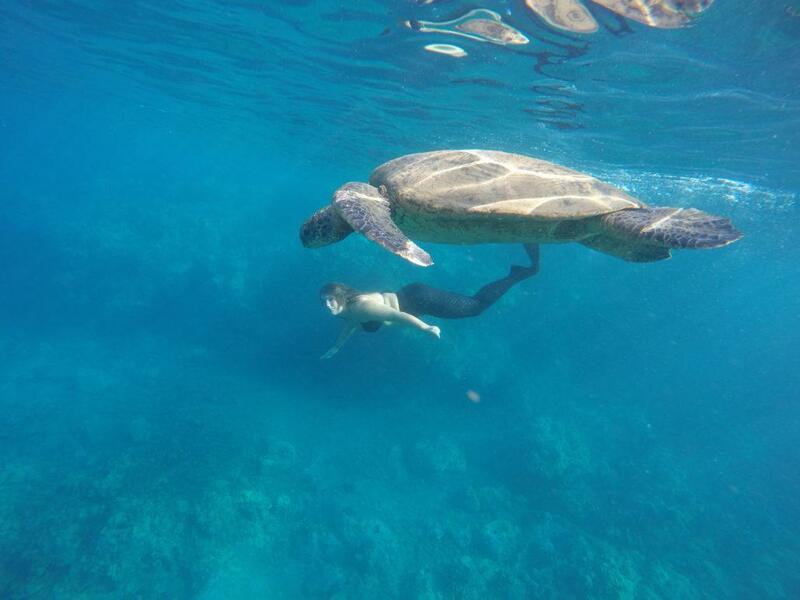 When snorkelers swim by and begin diving down to get a closer look, turtles and other marine animals can become stressed and agitated. If these animals don’t get enough rest, it is harder for them to survive. When we disturb wildlife, it can make it hard for them to hunt, rest, or avoid getting eaten. Everyone who comes to Hawaii needs protection from the sun. Unfortunately, some sunscreen chemicals are harmful to our ocean. Oxybenzone, for example, is one of the most common sunscreen ingredients but is also incredibly toxic to coral reefs. The chemical disrupts coral growth, causes coral viruses, and can accelerate coral bleaching (the phenomenon that occurs when corals turn a ghostly white). It is often difficult for corals to recover from these impacts, and reefs end up dying. 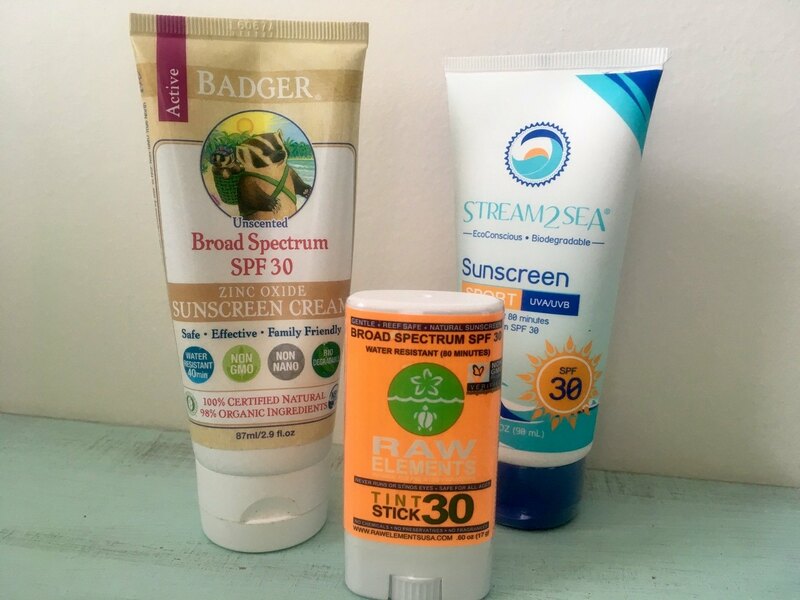 The sunscreens below are considered reef friendly and safe for ocean life. Brands like Badger Balm, Stream to Sea, and RAW Elements are safe for humans and the reef! One of the easiest ways to practice ocean stewardship is to use mineral sunscreens. Unlike chemical sunscreens that use oxybenzone, mineral-based sunscreens have active ingredients such as titanium dioxide and/or zinc oxide. We also encourage beachgoers to protect themselves with physical barriers like swim shirts and hats. Learn more about sunscreen and the harmful impacts of oxybenzone by visiting our reef safe sunscreen blog post. 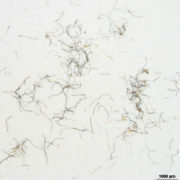 Debris and pollution in our ocean – specifically plastic pollution – is a serious concern for marine life. 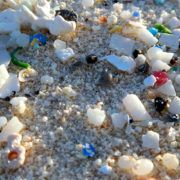 Animals like sea turtles, seabirds, and fish may mistake plastic and debris for food. If you’re snorkeling and see debris that’s easy to reach, please take it out of the ocean with you! This is a wonderful way to help keep our reefs healthy. Keep in mind, though, that some debris items may be harder to reach. Oftentimes, for example, it is very difficult to remove fishing line that is wrapped around coral, and we have to be very careful not to break the coral (which can kill the reef). In these cases, we recommend contacting professionals to handle the situation. Did you know that coral is a living animal? To protect themselves, corals secrete a thin, protective mucus layer. Touching corals can damage this protective layer and harm the animals. You should never touch or stand on coral. The oils from our hands can make it hard for corals to make food from sunlight. Standing on coral can also cause it to break into pieces and die. Coral is very slow growing, and it may take many years for damaged or broken coral to recover. If you do need to stand up, please look around for a safe sandy spot where you can easily stand without causing harm to our reef. Bonus Tip: Speak up for the Ocean! 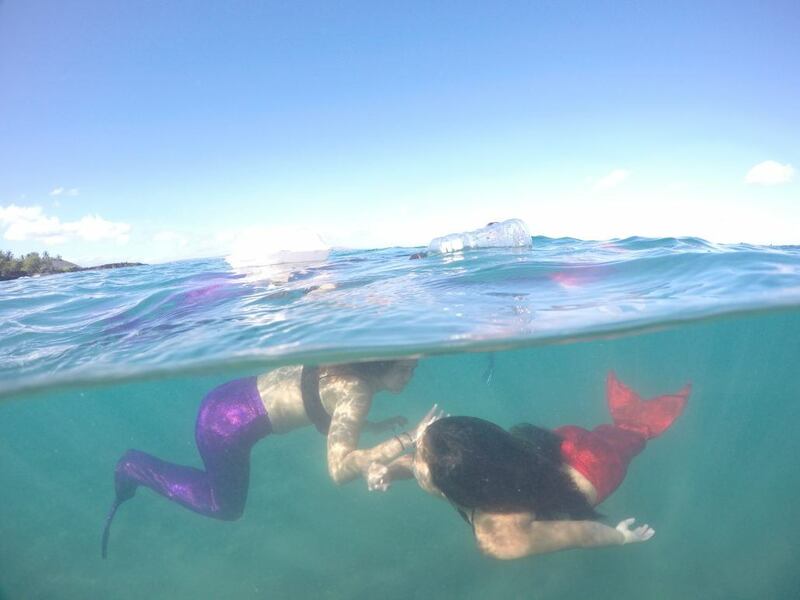 Mermaids have beautiful voices, so why not use yours! It is important to learn about the issues that are impacting your local area, and support legislation that could positively affect the environment. 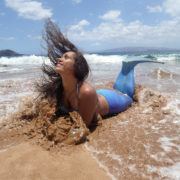 Our head mermaid instructor Lila has used her voice to help make big differences for our ocean. After hearing that a new hotel on Oahu was considering keeping captive dolphins, Lila launched a petition that gained over 93,000 signatures. The petition eventually led the developer to abandon the idea of captive dolphins. The more you educate yourself on issues and share your knowledge with your friends and family, the more you can step up as a positive change maker! 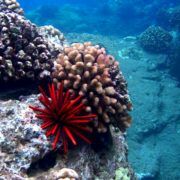 We hope you found these tips helpful, and we encourage you to put them into practice while you’re vacationing on Maui. 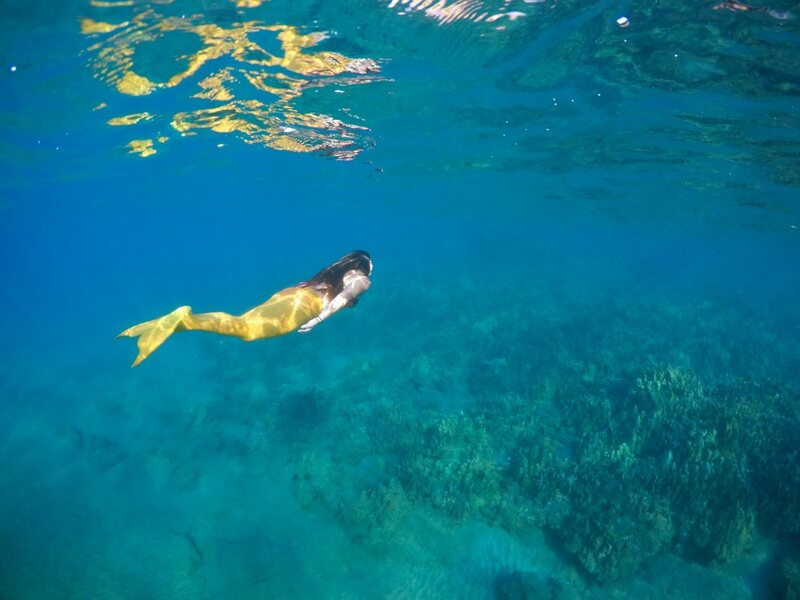 Remember that it’s our responsibility as mermaids to care for the ocean and be an ocean steward. Every little bit helps, no matter where in the world you are.